I recently bought a line-us-tool. When I opend the app I discovered that there is no possibility to import a drawing (png, pdf, svg or jpg file) to plot with line-us. Actually to work with my own handmade drawings was the reason to buy the tool. I´m very disappointed about that fact. 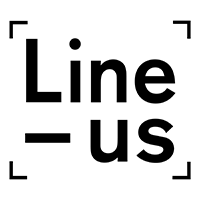 I´m not a developer or engineer, but I want to use line-us as a plotter. I like the idea and the small size of the line-us. In the forum I read there is a chance to plot a via Inkscape. So I copied the extension files into the directory listed at Edit; Preferences; System: User extensions and restart. I opend LineUsTestDrawing.svg file. Then I opend Extensions; Export; Plot… (There is no special selection, like „plotter line-us"). I have no idea, what this means. Hope you can give me advise. I’d suggest giving Michael Zöllner’s SVG patter a try as it’s probably a bit simpler than the Inkscape route. There are installers for Mac and Windows here and some instructions here that should get you started.